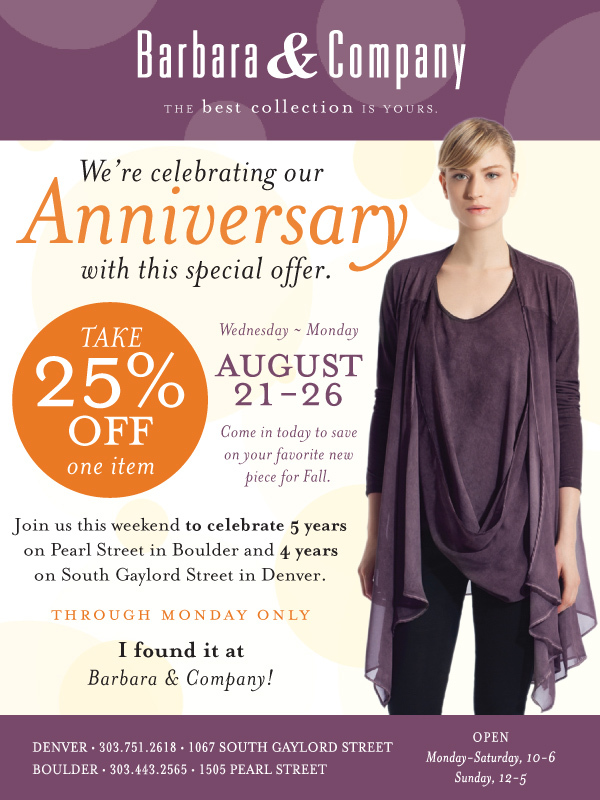 Join us this weekend August 21 – August 26 to celebrate 5 years on Pearl Street in Boulder and 4 years on South Gaylord Street in Denver. This weekend only receive 25% off 1 item of your choice. Shop our new fall collections from Ella Moss, Bailey 44, Ronen Chen, Lauren Vidal, Aventures des Toiles, Burning Torch, Johnny Was, Michael Stars, Chan Luu and many more.